Mr. Klein is our Senior Vice President and Deputy Chief Investment Officer, a position he has held since January 2017. From January 2016 through March 2016, he was an Executive Vice President at Healthcare Trust of America, Inc. (NYSE: HTA) and was responsible for growing the company’s strategic relationships with its key markets and identifying new markets. From January 2010 through December 2015, Mr. Klein was employed by Welltower Inc. (NYSE: WELL, formerly known as Health Care REIT, Inc.), most recently as a Senior Vice President and was responsible for the leadership, management, and execution of business development, origination, and investment efforts for the company’s Outpatient Medical Group. From January 1994 through January 2010, Mr. Klein was co-founder and President of The Reichle Klein Group, which subsequently evolved into the Toledo affiliate office of CB Richard Ellis. Mr. Klein, in his role as Managing Director of Asset Services, was responsible for the Asset Services business line, including all aspects of business development, client relationships, execution, and administration of the company’s asset services, property management, project management, and maintenance operations. 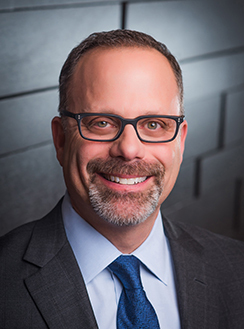 From 1992 through 1993, Mr. Klein was General Counsel of Romanoff Electric Corp. From 1990 through 1992, he was an associate specializing in real estate law at Shumaker, Loop & Kendrick, LLP. Mr. Klein is a graduate of the University of Toledo College of Law, with a B.S. from the University of Virginia. Mr. Klein is a member of the Healthcare Real Estate Insights Advisory Board, and the Advisory Board of Revista. Mr. Klein and his wife Robin have four daughters and reside in Charleston, SC.